Welcome to the wilderness centered wonderland community known as Eagles View located in proximity to Nantahala Lake, North Carolina. This area has a plethora of fun and exciting ways for the guests of all ages to enjoy the natural surroundings of the area. Take a day when arriving and check out one of the local horse stables. Rent a horse for a day and traverse a variety of hiking trails in the area. It is much easier to cover ground quickly while on horseback, thus giving you and your guest the opportunity to see more trails and nature in a shorter period of time. After enjoying the hiking trails on horseback, it will be time to visit the main attraction of the area, Nantahala Lake. The lake is home to a variety of great family-friendly activities. Spend a few days on the lake having fun in a variety of ways such as fishing, swimming, boating, and many more! 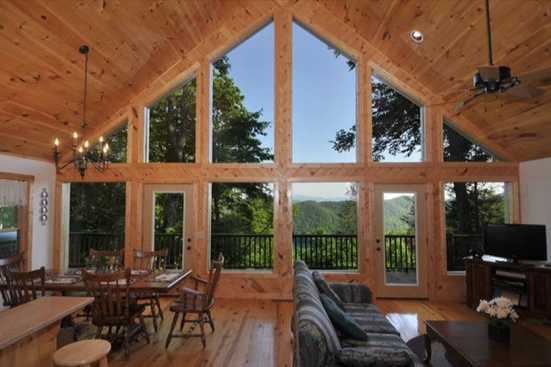 Smokymountainsbyowners.com is the best and most efficient way to find, plan, and book your vacation rental property in the Eagles View community in North Carolina. From the spellbinding hiking trails that guests could traverse on horseback to the majestic Nantahala Lake and its various leisure activities, guests of all ages are sure to have an unforgettable experience in Eagles View. SMBYO.com aims to take the hassle and stress out of planning and booking your vacation rental property, so all you must do is decide if you want to hit the trails or the lake first. Book now, you won’t regret it!